Finding the right combo for your PC build is all about putting the right parts together. Unfortunately, pre-built combos from online retailers rarely do this in a way that benefits consumers. So, rather than recommend a combination of parts that a retailer simply wants to get rid of, here are a few different budgets for motherboards, processors, and graphics cards that offer a good value overall. The graphics card market is irregular right now. Most of our numbers are based on MSRP. Some waiting for prices to stabilize may be necessary if you want to find the prices below. For our first GPU, Motherboard, CPU combo we’re pairing budget parts in order to get maximum performance for the least amount of money. The i3-8100 is the better performing CPU here for a few more dollars. However, the Ryzen B350 motherboards are so much more affordable, it makes the Ryzen 3 the better budget CPU overall. The Ryzen 3 1200 is a 4 core processor with a turbo boost of up to 3.4GHz. The price for this processor goes between $100 and $110, so don’t pay more. For most, this processor is enough to handle graphics cards in the $200 to $300 range. 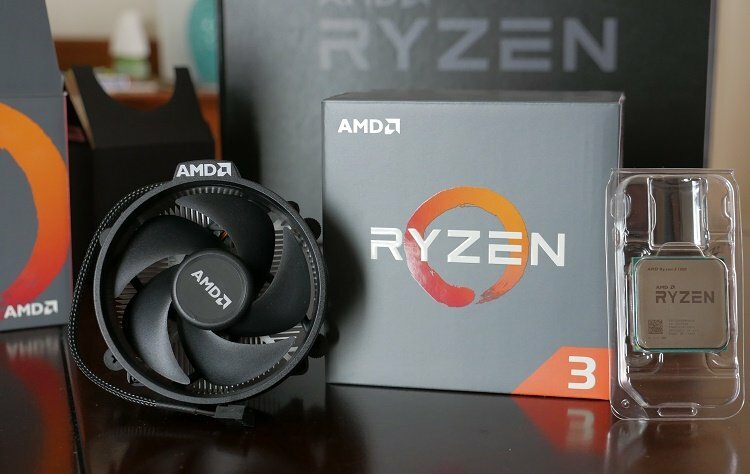 You can overclock the Ryzen 3 1200; however, with this limited budget, it’s likely you’ll only want to go for a mild overclock. Still, a B350 motherboard like the one we’re recommending here should allow you to get additional performance. The ASRock AB350M is an inexpensive micro ATX B350 motherboard with a lot of features for around $50 to $60. It has support for DDR4 3200 (OC) and, as we mentioned above, should allow you a light overclock of the Ryzen 3 1200. The Ryzen 3 1200 can handle more than the GTX 1050Ti. Still, the 1050Ti is a good graphics card to pair with it because of the overall budget of the combo. Of course, if you want to go with something pricier you certainly can. However, the GTX 1050Ti does a good job of today’s AAA titles in high settings. You can pair this combo along with the rest of the parts we recommend in our $500 to $600 PC build and get a lot of value here. Also, this is certainly a system you could upgrade down the line without too much trouble. Simply upgrade the GPU and you’re good to go. At $400 we’ve got enough money to get a decent Z370 motherboard for the Coffee Lake i3-8100. 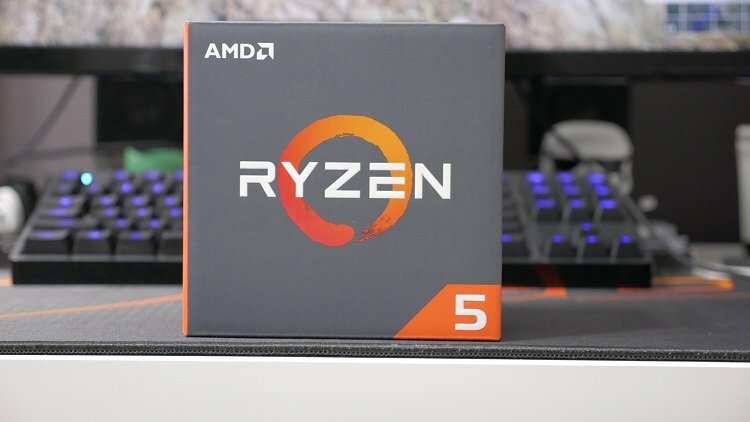 The i3-8100, similar to the Ryzen 3 1200, has 4 cores and 4 threads. The big difference here is that the IPC of the i3-8100 is superior thus giving it better in-game performance. The i3-8100 represents a move that Intel had to make because of market competition. AMD got closer, so Intel finally gave us 4 cores with their i3 offering rather than 2 cores and 4 threads. The i3-8100 is capable of handling pretty much any graphics card at 4k, most GPUs at 1440p, and at 1080p up to around a GTX 1070. And while the i3-8100 can certainly handle the GTX 1070, I do wonder, at that price point, whether you’d be better off spending a little bit more and getting an i5 or Ryzen 5 from AMD. This is an interesting combo because you’ll have a very capable CPU and motherboard at a budget price. So, even more so than the $300 combo, I like the option here to upgrade your GPU over the next couple of years. The MSI Z370-A Pro has a lot of features along with MSI’s Military Class 5 design for durability. It has a reinforced PCI-E slot, multi-GPU support, M.2, 4 x USB 3.1 Gen-A in the rear panel, and even Intel Optane support. It also allows for up to 64GB of memory at 4000MHz. The Realtek ALC892 gives it middle-of-the-road onboard audio, but it’s still very good. On sale, you can find it for as low as $100. Even though it’s a budget Z370 board, you could certainly upgrade your CPU down the road here to something overclockable. Again, we’re going with the GTX 1050Ti here. GPUs are expensive, right now. 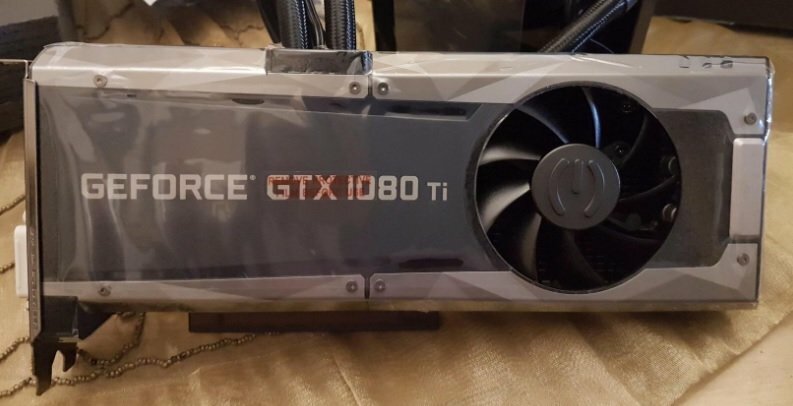 Before the cryptocurrency trend got out of control, this GPU was regularly on sale for around $120. Today, you’ll be lucky to find it for $150. Yet, those who are patient here will likely be able to save quite a bit of money. It’s great to see so many capable CPUs at this price point and the performance for this price point is fantastic if you can find a GPU at a decent price. If necessary, use your old GPU for a time while you’re waiting. Optionally, you could go for a used GPU like the GTX 970 or RX 470, if they’re available in your area, and get better performance than the 1050Ti would give. At this price point, we’re introducing a CPU and GPU that’s very capable of modern titles in Ultra settings. These parts are also found in our $700 to $800 gaming PC. AMD’s Ryzen 5 1600 is a 5 core and 12 thread CPU that’s very capable for around $200. The Ryzen 5 1600 is fine at any resolution and while it won’t quite squeak out as many frames as an Intel i7 for a similar GPU it’s surprisingly close. In fact, it might be worth noting that the cost savings between the motherboard and the processor combo here and what you’d get with a similar budget might bump you up on the GPU food chain. Something, that definitely would result in overall FPS gains. The Ryzen 5, like all Ryzen CPUs, is overclockable. With our motherboard here and the stock Wraith spire cooler, you should be able to get around 3.8GHz. Having ram that’s above 3000MHz for Ryzen should impact the performance positively as well. So, go with that if it’s affordable. 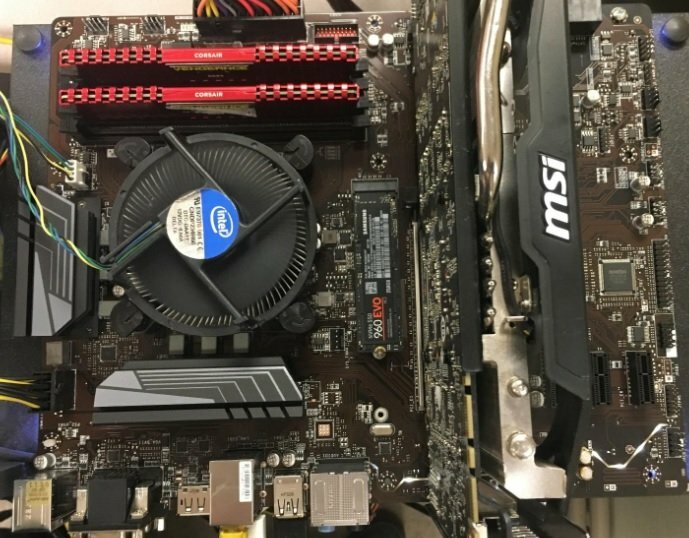 The MSI B350 Tomahawk is a very capable motherboard and one that we’ve reviewed in the past. While the BIOS needed some work at the beginning of its release, those kinks have been worked out. This means is a solid budget option across the board. It’s a very capable option at the $65 to $80 price point. For design, you get a good looking black, grey, and red color scheme along with some subtle red LED lights. While these aren’t RGB lights, they go well with the board itself. In terms of features, the Tomahawk supports up to DDR4 3200 memory and has M.2 and USB Type-A and C support as well. I’ve seen the GTX 1060 in price ranges from $200 all the way to $500 this year. That’s what you get when the mining craze is out of control. Our pricing, is of course, based on MSRP. The GTX 1060 is a good GPU but is one that may be replaced by VOLTA options here shortly. Even if VOLTA does get released, this may be an option you can find for a more affordable budget price afterward. It’s capable of Ultra settings in 1080p for AAA titles. 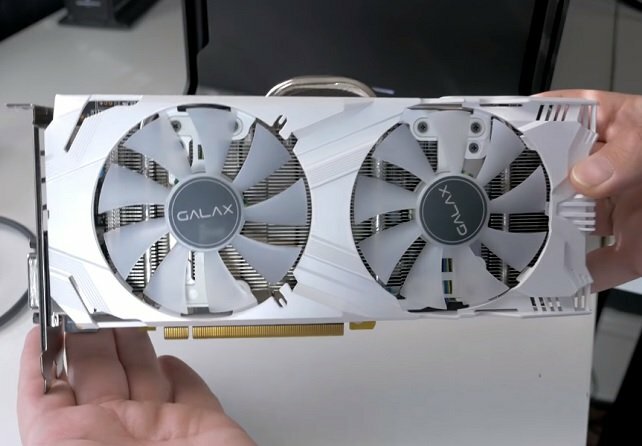 We recently reviewed the Galax GTX 1060, so if you’re looking for benchmarks, we’d recommend you start there. This $500 CPU, GPU, and motherboard combo is very capable. The Ryzen 5 1600 is a CPU should last a long time as developers continue to utilize additional cores for their games. Our $600 combo is featured in our $1,000 Coffee Lake PC Build. The i5-8400 is a 6 core 6 thread CPU from Intel which can handle any GPU available in the market right now. The IPC is better than the Ryzen 5 1600 and even though it can’t be overclocked, it has a max turbo frequency of 4GHz. It offers very similar performance to the previous generation i7 processor for a more affordable price point. PC Gamer called it the best new gaming CPU in years and we tend to agree. 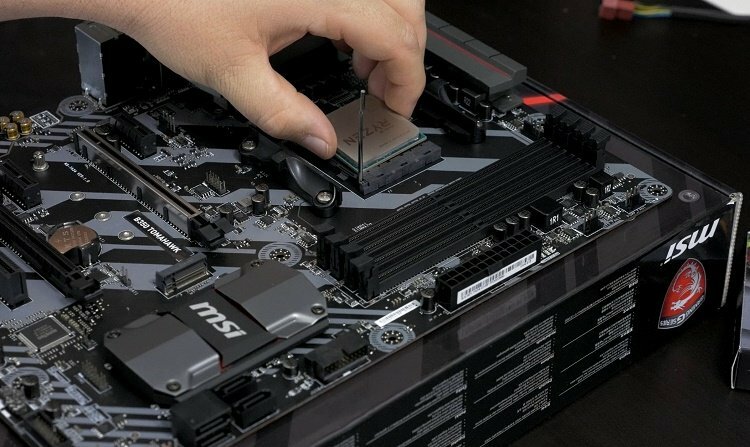 The ASRock Z370 Pro4 regularly comes in at $120 to $130 and is packed full of features. This includes DDR4 4266MHz support and 2 Ultra M.2 ports. The Rear panel has support for 5 USB 3.1 Gen 1 Type-A, a single 1 USB 3.01 Gen1 Type-C port, HDMI, and DVI-D support. It also has 10 phases. So, it should be a good option if you decide to overclock on a supported “k” processor. The ASRock Bios is easy to work with and use. Overall, you’re getting a no-frills motherboard that looks great, has solid parts, and plenty of features. Still, if you’re not planning to overclock, you could definitely go with something cheaper here and it may depend mostly on your future plans for the system. As I mentioned above, the GTX 1060 SC 6GB version is definitely capable of handling today’s latest games in Ultra. So, we’re sticking with that here. Go with Volta when it’s available. For a budget of just under $1,000, we’re planning on a high-end gaming PC capable of ultra settings in 1080 and 1440p. For CPU, we’re going with the Ryzen 7 1700 here. The Ryzen 7 1700 is one of the most impressive CPUs we’ve seen from AMD. With 8 cores and 16 threads, it’s a monster workstation and editing CPU that’d be great for a photo editing and graphic design build. For games, it fares very well. At $300 it’s also very affordable. With a simple overclock, you should be able to get it to 4GHz. It’s not necessary to pair the Ryzen 7 1700 with a more expensive board than the Tomahawk we featured above. And depending on the features you need you may want to spend more or less. However, for a pairing that fits the price of the processor, we like the Asus STRIX B350-F. It sells between $110 and $130. If you get it on rebate for around $110, it’s worth it. At $130, you might be better off with an X370 board or a board that features more than one M.2 port. For design, the pinnacle of this board is the PCH Heatsink with an RGB LED Accent. This along with the black and grey design and oversized heat spreaders make this budget motherboard stand out at its price point. The RGB lighting can be customized to whatever you’d like and you can attach separate RGB strips as well. The onboard audio of this board is also impressive. With ROG’s SupremeFX audio you get a clean sound with low distortion. For specs, the Strix B350-F has 2 x USB 3.1 Gen 2 Type-A ports, 4 x USB 3.1 Gen 1 on the rear panel. Additionally, this board has 3-Way CrossFireX support. Overall, it’s a good standard ATX board with a few extra features and doesn’t cost a fortune. It’s also a decent overclocker. The Bios is fairly easy-to-use as well. With the standard Wraith cooler you might even be able to reach 4GHz with the Ryzen 7 1700. An aftermarket cooler should get you there or farther. A GTX 1070 should retail for around $400 to $450. Lately, I’ve seen them for double that price. Personally, I wouldn’t pay for that. So, wait for prices to settle for something normal and then go for it. The GTX 1070 is still the ideal GPU for performance at that price point. It’ll get you solid 1440p performance in Ultra or more frames than you probably need in 1080p. For those looking for a high-end build, here’s what I’d recommend without breaking the bank. If I had the choice of a CPU specifically for gaming I’d choose the i7-8700k over anything else. This 6 core and 12 thread CPU from Intel gives you 4.7GHz turbo without even an overclock. The i7-8700 can be found for around $50 less for those willing to go with a mere 4.5GHz overclock. The mix of high cores and super fast IPC makes it the ideal gaming CPU for getting the max out of your graphics card. And since we’re going with the GTX 1080Ti here, that’s exactly what we want. This $200 board is a Proclockers highly recommended award winner. It’ll give you one of the best overclocks available and has all the features that most high-end enthusiasts are looking for. The design on this board is stunning with Aura Sync Across multiple devices for all the RGB you’d ever want. The durable construction, oversized heat spreaders, and fantastic paint job make the inside of your case look fantastic. Specs for this board include ROG SupremeFX S1220A onboard audio, multiple M.2 support, 3 PCIe x 16 slots, 5-way optimization for auto-tuning, and more. The GTX 1080Ti is the king of the hill right now. It offers fantastic performance and is one of the more reasonably priced offerings in the current market for its performance. Higher-end cards tend to be less affected right now, in terms of percentage increase, than middle-of-the-road options. So, see if you can find one for $800 to $1,000. Finding a good motherboard, CPU, and graphics card for your build is essential to staying within your overall budget. We like the combinations we’ve given above more than most retailer combos you often see. Again for GPUs, try and be patient or find something used in the meantime.